Many Americans find themselves in debt. Digging yourself out of a financial hole is not an easy process and it may take years, but by following a few of these simple steps below, you may be able to get out of your debt and avoid bankruptcy. If you have any income left after paying all of your bills, there is hope for you. You can get yourself out of debt. It will be a long process, but if you budget your money correctly you can become debt free without filing for bankruptcy. To begin making a budget, total all of your income expenses. Find ways to reduce spending, and increase your income if possible. After you subtract your everyday expenses, find a realistic amount you can dedicate toward your bills each month. Make sure to prioritize your debt. A “secured” debt is secured by an item that will be collected if the bill goes unpaid. The item is known as “collateral.” Many times, people will use their house as a form of collateral. Paying these loans is imperative if you want to keep your house or your car. Make sure you prioritize these loans when listing your debts. Always communicate your financial situation with your creditors. Most creditors will be willing to work with you. 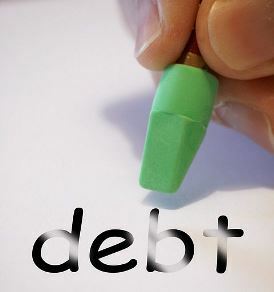 Credit counseling can provide you with beneficial knowledge about digging your way out of debt. These agencies not only offer debt counseling but also home counseling. Counseling agencies will refer you to other organizations if you require specialized assistance. Some credit counseling agencies will contact your creditors and create a payment plan for you, as well as develop a debt management plan for you. Some credit counseling agencies will make your promises and guarantee to help you solve your debt crisis. They will require you to pay them once a month and they will disperse your payment to your creditors. But these companies may charge excessive fees, give false information, or take your money. Conduct research about any company you consider seeking credit counseling from before allowing them to help you. To consolidate your debt, you must take out a second mortgage to pay off your all of your unsecured debt. Debt consolidation is basically one big loan which is secured by your home. Do not rush to solve your debts with debt consolidation; this decision requires heavy consideration. Although there may be tax benefits to this solution, failure to make your payments will result in the loss of your home. If you believe you are experiencing this behavior from a debt collector, you have the right to file a complaint with a consumer protection agency.